All journals operated by the ResearchersLinks adopt ICMJE Recommendations on Protection of Research Participants. For more information, click here! In addition to ICMJE recommendations, we also support 3Rs principals (Replacement, Reduction and Refinement) for humans and animals usage in research. Briefly 3Rs are mentioned below, and more information can be accessed here! As evidence, authors are required to provide local, national or international ethical approval statements in the Materials and Methods section (or text describing the experimental procedures) affirms all appropriate measures were taken. We require a traceable and unique reference number and the name of the ethical review board in the manuscript. In case, no formal ethics committee is available (applicable to only developing countries), the studies shall be sufficient compliance with the Helsinki Declaration as revised in 2013. Manuscripts presenting research on human subjects should provide “informed consent to participate” from participants. In case of children under 16, consent from parents or guardians shall be presented. Consents might be required by the editor(s) of Advances in Animal and Veterinary Sciences on images or videos from participants in the study. Consent form must be made available to Editors on request, and will be treated confidentially. Before reporting research work involving human subjects, authors should ensure that the work has been conducted in full accordance with the ethical standards of the responsible institutional or national committees on human subjects as well as with the Helsinki Declaration. In cases, where such committees do not exist, stick compliance with the Helsinki Declaration is suggested. In any other cases, authors are required to explain the full rationale for their approach approaches, and should demonstrate all doubtful matters of the study in the submitted manuscripts. In order to avoid animal suffering and to raise animal welfare, we strictly request authors to obey all national and international guidelines set out for the care and use of animal in research. ARRIVE (Animal Research: Reporting of In Vivo Experiments) has set out guidelines to improve the reporting of research using animals – maximising information published and minimising unnecessary studies. Authors are encouraged to liaise with ARRIVE items, crosscheck research work against their checklist and finally upload them during the submission process of the manuscript. 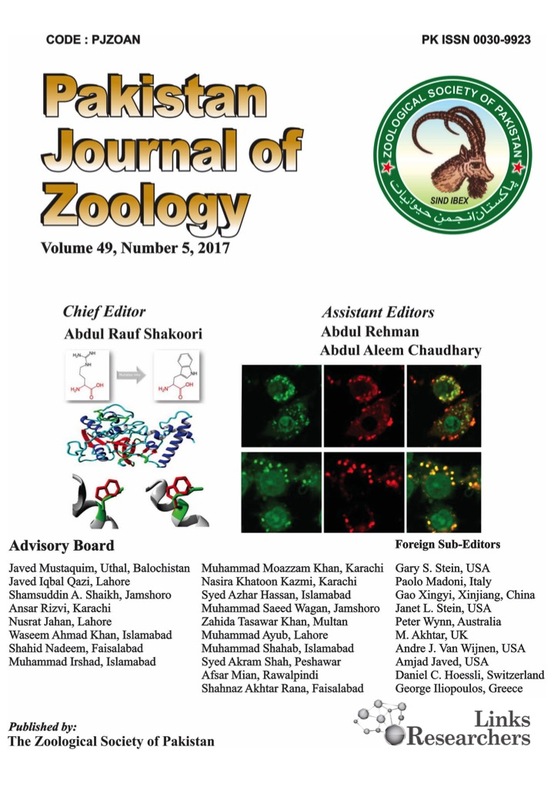 We also recommend our authors to follow Convention on Biological Diversity and the Convention on the Trade in Endangered Species of Wild Fauna and Flora. Self-Archiving Rights: All authors hold full copyright and self-archiving rights. Our self-archiving policies are detailed in the RoMEO (ResearchersLinks is a green publisher at RoMEO, which is a database of publishers' copyright and self-archiving policies). Authors are required to download the original paper and be mindful on the updates through ResearchersLinks’ CrossMark membership. Additionally, authors are allowed to archive their articles in open access repositories as “post-prints”. Pre-print and Pre-publisher Work: We decline the publication of material that has been online on pre-print or the work has been previously published online, offline or on any other electronic or print media. Conference/Meeting Presented Research Work: Authors are allowed to submit their research work that has been presented in a seminar, meeting or conference. However, they are required to acknowledge the presentation at first place in the manuscript. Acknowledgments: Authors are required to cite and acknowledge original reference in other media of communication such as audio files, interview etc. Open Access: We offer Creative Commons Attribution-Non Commercial License to researchers and scholar who uses the content of the published papers. This license permits unrestricted use, distribution and reproduction in any medium, provided the original work is properly cited. Linking and Referencing: Authors are allowed to link published papers and share the published papers online or offline in the final format printed on the journal website. Indexing and Storing: Authors are allowed to index and store the published work in any private, public, professional and institutional repositories including ResearchGates, University Repositories, etc. Updated on 3 January 2018.